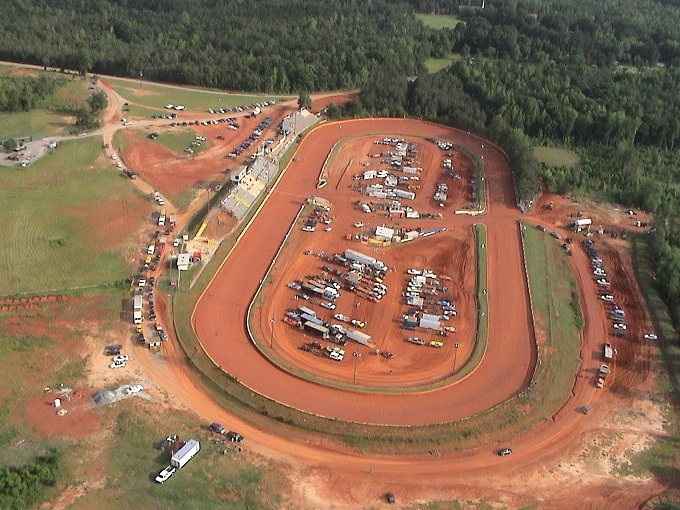 The Official Website Of Lancaster Speedway Located In Lancaster, SC. Prices may vary on special events. The Lancaster Speedway was built in 1954, by a group of local businessmen, headed by the late Herman "Hump" Poovey. It was constructed on land that was owned by Mr. Poovey. It was very successful and even featured NASCAR sanctioned races in 1957, which were won by Paul Goldsmith and Speedy Thompson. From 1958 until 1963 however, the track fell upon some hard times, changing owners and management several times. In 1963, cousins Ross and Charles "Snooks" Cauthen bought the track and put it back into regular operation. By 1968 there was another change as local businessman Coble Funderburk took over operations at the speedway. 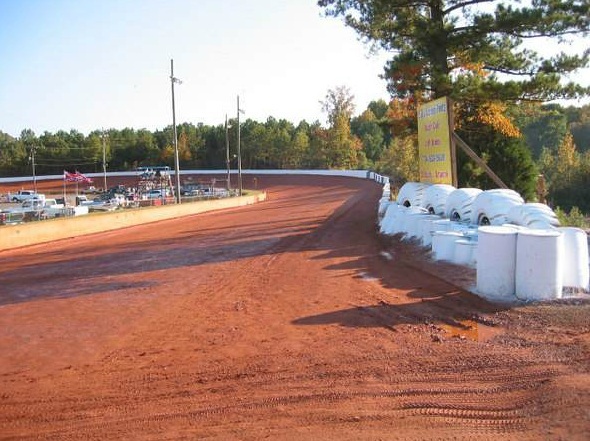 During his tenure, Funderburk made several improvements to the facility including a new concrete wall on the front straightaway between the track and the grandstands. 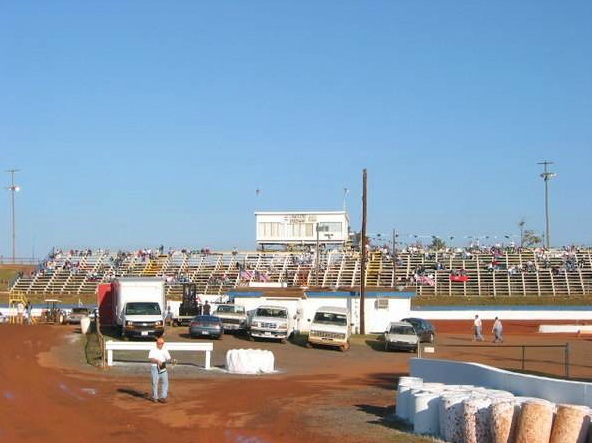 A joint point championship, with Starlite Speedway in Monroe NC, was started in 1969. Racing was good and the crowds were large but another change was soon coming. In 1975, local salvage yard owner, Jim Mahaffey took over as the owner-promoter of the speedway. 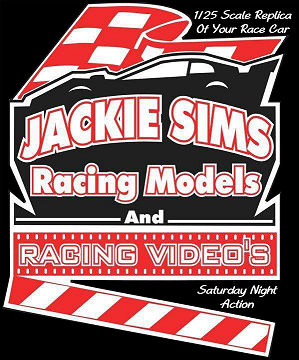 One of the changes made was to drop the top division of race cars, the powerful V8 Late Model Sportsman class. This was done to cut the cost of operating the speedway on a weekly basis and many people said that it would result in the end of the speedway. Time proved just the opposite to be true and the speedway flourished under Mahaffey and an all six cylinder racing program. By making the six cylinder cars the headliners the weekly cost of operations and ticket prices were held down and the crowds of people and race cars grew. Local drivers such as Carl Brownell, Billy Causey, and David Taylor became local legends. Jim didn’t stop there though. He made many improvements to the facilities. 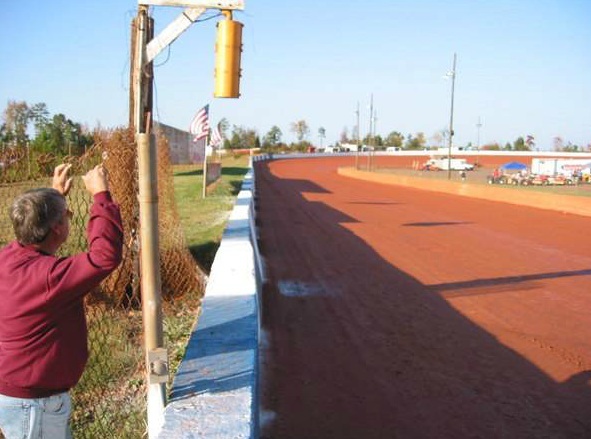 Over the years he replaced the lighting system, replaced the wooden grandstands with concrete slabs, and started extending the concrete wall, started by Funderburk, to extend all the way around the speedway and replacing the wooden and metal fences. Most fans agree the time that Jim Mahaffey was operating the speedway was a great era for fans and drivers alike. In 1986 it was time for another change as Fort Lawn businessman, Herbert Murray, purchased the track. He continued the tradition started by Mahaffey of putting money back in the operation by making capital improvements each year. The track continued to grow under his leadership. As the 2000’s rolled around change was in the air again. This time it was in the form of Doug McManus, a Rock Hill businessman who purchased the track from Murray. As a former driver and car owner at the speedway, he was well aware of what the speedway meant to the community and fans. He continued the proud tradition and has made many improvements to the facility as well. 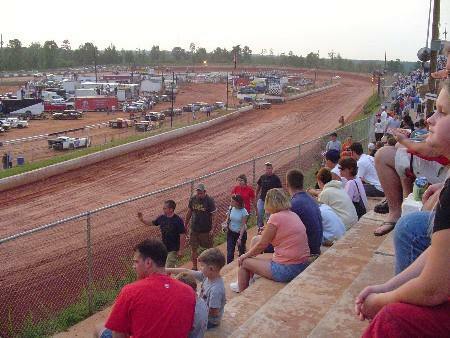 There have been many big events held at the track in recent years including the Carolina Crown super late model event. This event paid the largest purse ever in the history of Lancaster Speedway as well as any other dirt track in the state. Record crowds were on hand to see this historic event. Lancaster Speedway has been around for 58 years and has played hosts to some of the greatest dirt track drivers in history. 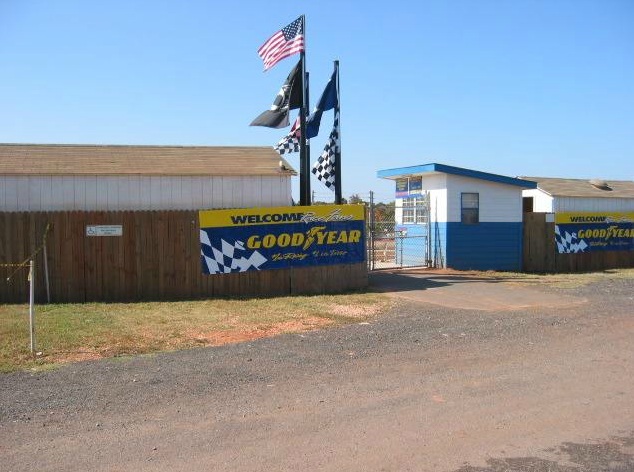 Just about anyone you can think of, from the early top NASCAR drivers, the nationally known top dirt racers, and the weekly local heroes have all turned laps at this fine facility.